William Rogers pioneered the silverplate industry in America. He produced much of the silver that was made in the 19th century. 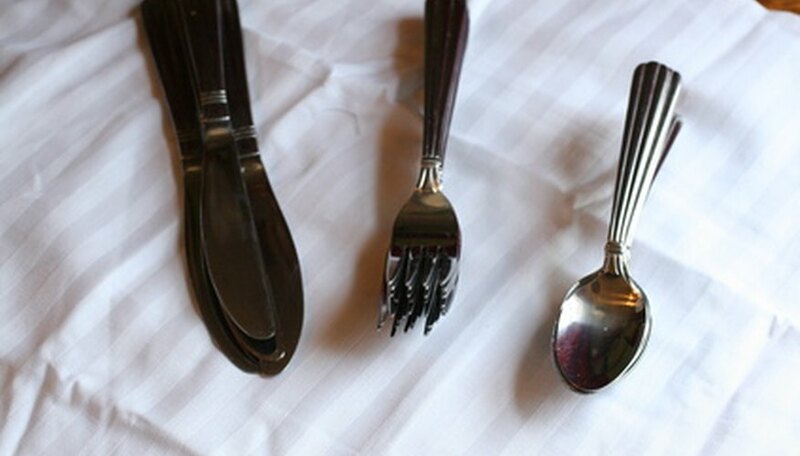 However, it can be arduous to attribute pieces of flatware to him because his name was appropriated by many companies during his lifetime and for generations after his death. When trying to identify William Rogers flatware, examine the piece for the manufacturer's name, symbol, date and pattern. Look for the manufacturer's symbol, which is a star and an eagle. Often, the star and the eagle surround the manufacturer's name “Wm. Rogers.” This symbol was used by William Rogers himself between 1825 and 1841, especially on his silver spoons. However, this symbol does not guarantee a William Rogers piece. After Rogers' death, his son, William Roger, Jr., contracted with Simpson, Hall, Miller and Co., which used the symbol off and on in the late 1800s. The International Silver Co. also used the symbol from the late 1800s until around 1939. Most recently, Oneida used the symbol, engraving pieces of flatware with the symbol as late as 1978. Look for the date of manufacture. Most William Rogers flatware was produced between 1825 and 1871, whether under the corporate name of Wm. Rogers, Wm. Rogers and Son, or Wm. Rogers Mfg. Co.
Familiarize yourself with Wm. Rogers patterns. The most popular Victorian patterns used by Wm. Rogers were the Alhambra, Beauty, Orange Blossom and Rose. Wm. A. Rogers often used the Glenrose, Grenoble, Carnation and La Concorde patterns. Lastly, Wm. Rogers Mfg. often used the patterns Isabella, Revelation and Jubilee. You can find pictures of these patterns and others in the Encyclopedia of American Silver Manufacturers.